Author, speaker, and leadership expert, Dr.Jane Horan is the founder of The Horan Group, a strategic consulting firm helping organisations build inclusive work environments and meaningful careers. Dr. Horan has an extensive background in diversity and inclusion, cross cultural leadership and global team development. 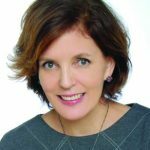 Her consulting work is with Fortune 100 companies, NGO’s and academic institutions in Asia, North America and Europe, concentrating on diversity and inclusion, engaged work environments and leadership development. There is plenty of research clearly indicating that women are more likely to be transformational leaders-that is, bringing out the best in others; collaborative, participative, inclusive, and with a coaching-like style of management. Such leadership– up, down and across the organisation– drives better performance. Let’s connect the dots. Women are more prone to be transformational leaders; organisations with transformational leaders perform better; more women on corporate boards is good for a company and society at large. Adding it up, we should easily see more women in decision making roles. Where exactly are we today with diversity and inclusion? With all the global demographic shifts, a multi-generational workforce, more people working outside their home country and a marked increase of working women, the attention on diversity is understandable. Women now comprise 40% of the global workforce, over 50% of the college graduates and 85% of consumer purchases. The Peterson Institute of International Economics Global Survey of 21,950 firms in 91countries showed that women in senior leadership positively impacts performance. But what is the state of inclusion inside organisations? That same Peterson Institute Survey revealed gaps in female board members and Chief Executive positions. This past decade has been focused on ‘diversity’ while ‘inclusion’ remained in the background. The business case for diversity is quite clear, but how does a company actually get everyone to work together and increase teamwork ? Inclusion offers answers. 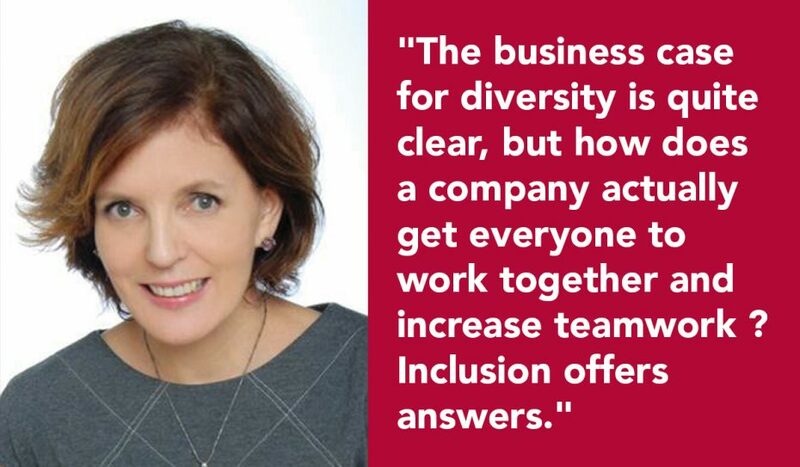 All organisations are diverse, and many trudge along the path of inclusion. If we define inclusion as ‘fully engaging all employees’, there must be a greater effort to engage, listen and include under-represented groups. To be inclusive is to be part of a group, involved with corporate decisions and directions. Given shifting populations, human capital investments are integral to both sustainable growth as well as diversity and inclusion. The inclusion element is critical and difficult. Research from MIT, Carnegie Mellon and Columbia demonstrate that a diverse and inclusive team are better problem solvers and innovators. That said, we work harder in diverse environments. Katherine Philips, from Columbia Business School, wrote “How Diversity Makes Us Smarter“, which highlights greater interpersonal conflict and issues of trust within diverse social networks. Organisations must improve their inclusion stratagem in order to avoid the side effects–exclusion and consequent dejection. It is easy to deduce that diversity improves companies, and done through listening, and including the collective voices in order to create corporate growth. Diversity has no bearing without inclusion. Organisations are often trapped in the wrong model. The world has changed significantly with globalisation and technology, but organisations have been slow to adjust. Many well-intended diversity initiatives have not found the recipe for success. Leadership selection, talent identification and career management all need to change. The focus on building diversity has overshadowed the more difficult inclusion piece. Building inclusion starts with understanding what we don’t know. Implicit bias training fills this blind spot by building awareness to expose what (or who) is missing. The past few years has shown a tremendous focus on unconscious bias training, an important first step in building an inclusive work environment, but hardly the only step. Organisations must learn from such training in order to develop and apply the actions. An unconscious bias session will build awareness of subtle biases and give greater appreciation to such differences, but when it comes to leadership selection, such insights are given short shrift. It is difficult to understand differences when a corporation rewards specific behaviors and traits. For example, at talent reviews there is excess focus on ”executive presence” but “presence” is subjective, and elusive, usually equated with presentation skills, commanding a room, confidence, a certain look, voice, dress. But each of those criteria are quite different cross-culturally. We all gravitate towards others who talk and behave like us. This ‘similarity’ bias seeps into each and every organisational process and program. All that bias training is for naught. To build on the power of inclusion, take the learning from unconscious bias workshops and review people processes; then hold everyone accountable for being inclusive. There must be a shift of perspective to observe a broader population. In order to benefit from diversity, we will have to move from ”fixing” individuals and move towards ‘repairing- the organisational process. One such challenge is the persistent focus on ”fixing women”, that is, a narrow emphasis of ”women” only programs, forgetting the other half of the organisation. Sally Krawcheck, chair of Ellevate Network and Ellevate Asset Management recommends organisations focus on educating men and women, rather than solely women. Ann Marie Slaughter, international lawyer, foreign policy analyst, political scientist and current President and CEO of New America believes workplaces need to change to accommodate dual career families, and suggests the need for a ”men’s movement to counter social norms. First, remove the stigma connected with flexible time early to senior level career. There are a variety of flexible work programs for men and women, but a 24/7 perception prevails. Some professionals indicate flex time can be a career limiting choice. Both are what organisations claim they want from their leaders. There are always deficits if you choose to look a certain direction. Moving from ‘what is wrong’ to exploring ‘what works’ creates a positive expectation through differences (or similarities) in strengths, interests and character. Focusing on strengths broadens a leadership perspective rather than viewing people through a proscribed construct. When strengths guide a conversation, talent processes and assessments become inclusive by default, moving inclusion towards a more active engagement. Third, tailor diversity initiatives to fit the organisation and employee segmentation. Understand the differences– of a starting career, mid-career, leadership and tenure, managing this with life-cycle events and across cultures. There are “stall” or plateau points in careers, and management must carefully and consistently invest in career conversations. 45% of mid-career women leave because they do not see a career path. Women want to be in control of their career path, get recognized and have a career with meaning and purpose. It’s not about filling out a form at the end of the year; it’s about on-going conversations. In taking any one of these actions, organisations will easily realize the power and impact of inclusion.